On the 2nd of January 2015, I began a new unending journey. Wole Soyinka Center for investigative journalism invited me to do a documentary on women in Nigeria. And I accepted to #Reportwomen abuse and issues of access in Nigeria. We selected nine states for the documentary film and headed towards northern Nigeria to document abduction, displaced women and girls, and poverty. The field trip ended on January 30th, 2015, but the experience continued to haunt my nights. Therefore, I decided to return to the northern part of Nigeria where girls are especially hard hit for six years by Boko Haram insurgency. While I was interviewing the victims, my tears runneth over, but I decided that I will not only document their plights but will solve the problems that is solvable by my sisters and myself. I promised the girls that I will come back to rescue them from the shackles of oppression by the dreaded Boko Haram terrorists. 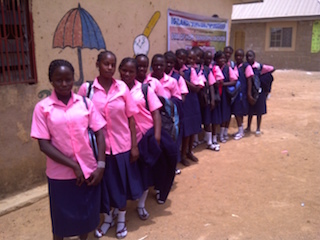 The girls did not believe me; they did not believe that they would go back to school. Their education is no longer on their parents’ priority list anymore. Due to my harrowing experience of watching northern Nigerian girl victims of Boko Haram roam about aimlessly during my field trip on report women in Nigeria, I began a campaign to send some of these girls back to school, so I tagged the campaign #sendnortherngirlsbacktoschool and #touchinglives on Facebook. My chosen camp to take off was the Hwollaza community in Zaria Road, Plateau State. Why? The displaced girls are living with anyone, any household, any families that accept them and this is dangerous. In addition, these girls roam about the community day and night. This I believe is dangerous because of sexual abuse and sexual harassment of these young girls; it cannot be ruled out. 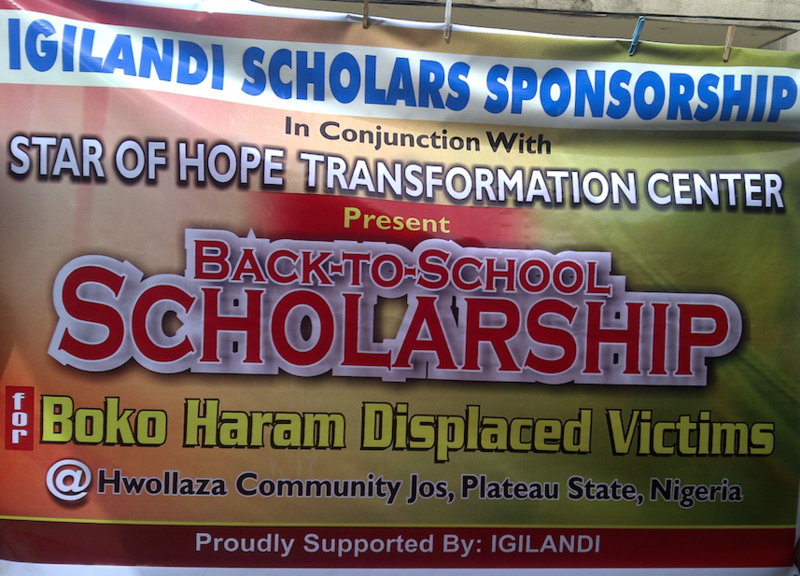 The displaced girls in Hwollaza fled from Adamawa, Borno, Yobe and Plateau States. My new journey fully began in March. I went back to Hwollaza to distribute my re-washable sanitary pads to the girls because they begged me to give them pads and pants and detergent to wash their lady’s essentials. During my second visit to Hwollaza, I had a meeting with the displaced people’s coordinator, community leaders and also met with the proprietor of a private school in the community, Mr Lasisi. I begged him to reduce his school fees so that we can return these girls back to school. He agreed. He reduced his school fees by half. The reduction in school fees made it easy to fundraise. On the 6th of April 2015, I began my journey back to northern Nigeria again. This time around, I travelled down to Hwollaza with the school bags, school sandals, socks, notebook, mathematical sets, pens, pencils, erasers and school fees for all the girls who were formally in secondary schools in their various states before the displacement. Why did we make secondary school girls the priority? They will be forced to marry if their parents cannot solve their problems anymore. Displacement during Boko Haram insurgency has dispossessed every affected people of their human dignity, possession and peace of mind. 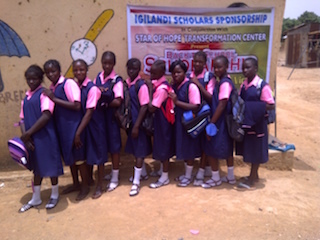 Igilandi gave 21 girls in secondary school scholarship and school supplies. Presently we have thousands of northern Nigeria girls roaming about in displaced camps scattered all over northern Nigeria. It’s been more than a year; we cannot continue to watch these girls. Let us join hands together to save these girls.